Yes, I live in a shoe box. So, I put on my thinking cap and pondered. Thought 2: Who shall attend? Thought 3: What will I cook? And bake? Thought 4: Settle down, Amie. 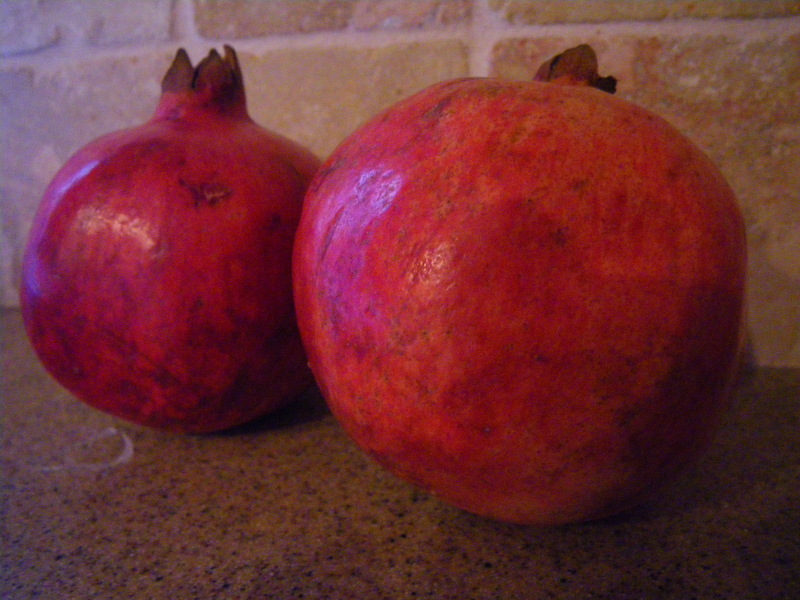 You have 2 huge cases of fresh pomegranates at your front door and the FedEx guy thinks you’re nuts! 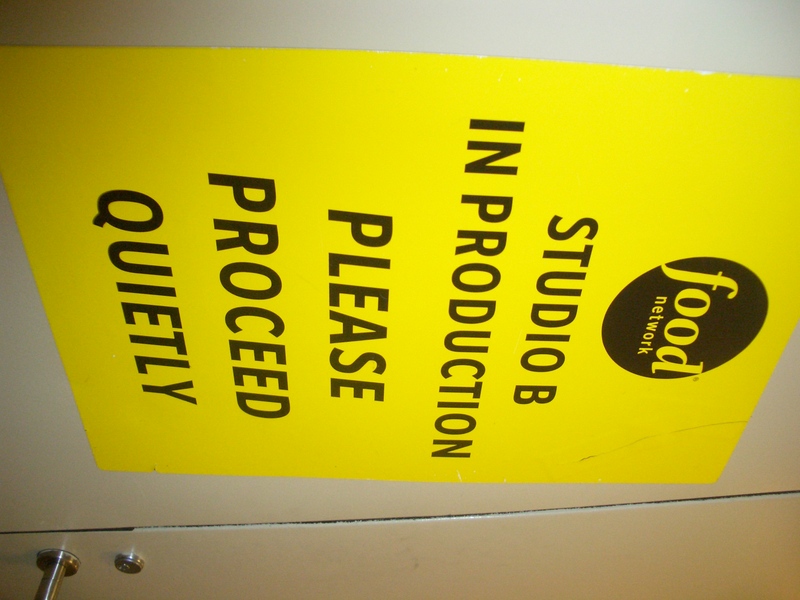 Thought 4: Stop with the thoughts and Get to Work! 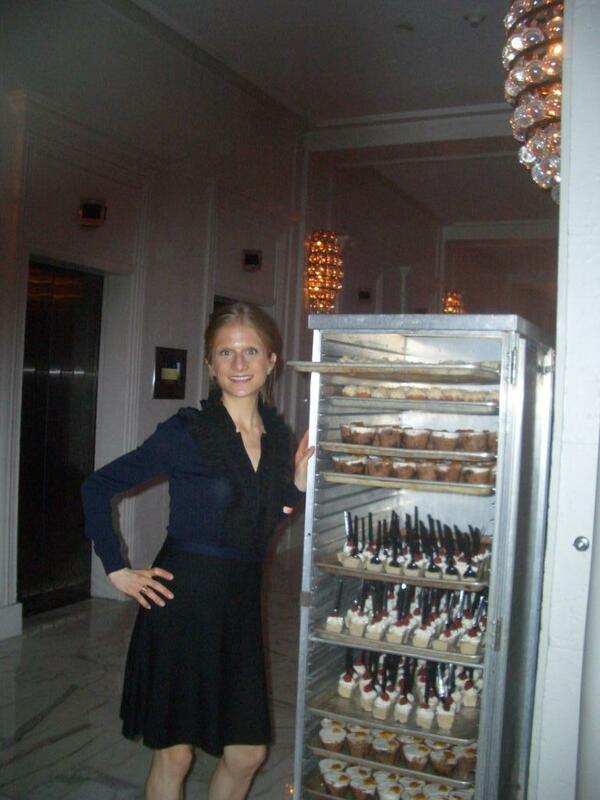 ‘T’was the night before my POM Party, and all I could think about was the decor, the dishes, the entrees, the desserts and o’ what fun I had developing gluten-free POM recipes using POM Wonderful and the two large crates of pomegranates inside my tiny abode. There I was…in my ‘lil apt…with the Kitchen Aid mixer buzzin’, the stove heatin’ and my fridge about to burst open with fresh produce and pomegranates! Welcome to my POM Dinner Party. Picture eight Manhattanites, nestled into my cozy Manhattan apartment perched onto eight large maroon colored pillows on hardwood floors with a beautiful display of my homemade POM inspired dinner menu. I cooked and baked everything from scratch using POM Wonderful products in every dish and beverage throughout the evening. 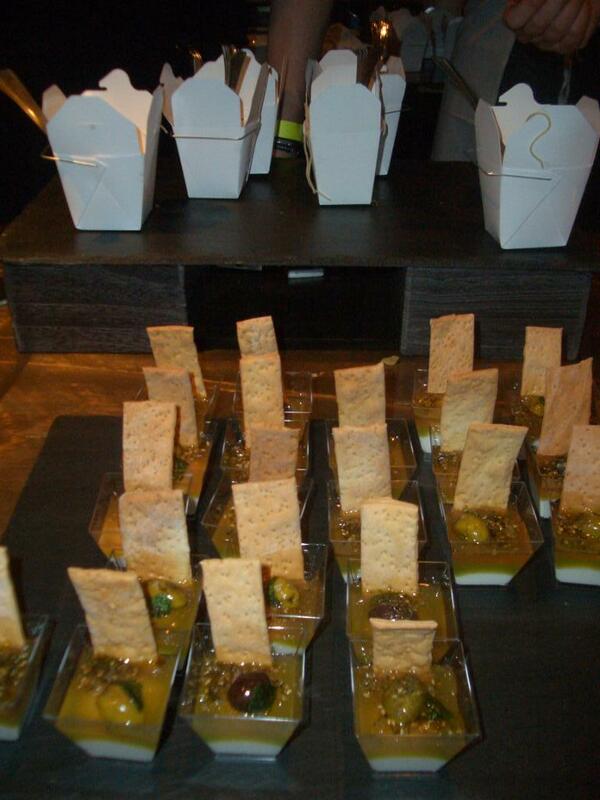 My menu consisted of POM infused Pecan Crackers served with POM Conserve for appetizers. Roasted Turkey, Mashed Sweet Potatoes with Pomegranate Arils, POM n’ Macadamia Stuffed Squash, POM infused Crispy Parsnip n’ Apple Fries with POM infused Sweet Pea n’ Asparagus Guacamole for the main course. And, for dessert, POM Truffles and Gluten Free Red Velvet Pistachio Coconut Muffins, which are both infused with POM. The beverages for the evening were POM spritzers, hot apple cider infused with POM and hot POM tea in cute little maroon mugs. 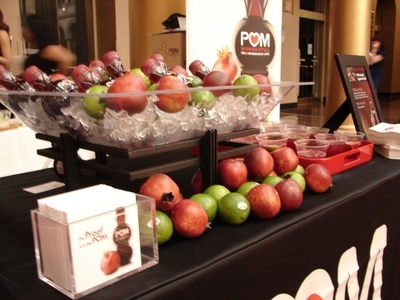 Each guest was given a bottle of POM Wonderful and a fresh pomegranate in an adorable POM Wonderful gift bag. The ‘table’ for this meal was Manhattan-style… well, it’s Manhattan-style for me… I laid a beautiful cream linen tablecloth on the floor surrounded by the eight large POM-colored pillows, which were used as seats for my guests, four maroon colored candles burned during the dinner and soft jazz music played in the background. The POM Dinner Party event started off with each of my guests and I opening a bottle of POM and using it to create every dish and beverage. Each guest was in charge of their own bottle and was instructed to finish it by the end of the evening throughout the cooking and baking in each of their dishes and beverages. Before we dug into our POM dinner, each guest and myself sat around the table with our own fresh pomegranates in our hands. We went around the ‘table’ and spoke about ways in which we use pomegranates in our everyday lives to add these powerful antioxidants into each meal, snack and beverage! With these unique and fun-filled POM foodie ideas, we elaborated on my ‘Menu’ and by the end of the evening all eight POM Wonderful bottles and all eight pomegranates (plus many more for snackin’ on and tossin’ extra into recipes) were incorporated into our Fall Harvest Feast. Then turned up the jazz music and got to work. Using a sharp paring knife, gently slice off the crown of the pomegranate. Place on a flat surface, cut side up and score the skin at each of the sections on the fruit. Gently open each section and using your fingers, loosen the inside seeds, also known as ‘arils’ into a bowl. Discard the body of the pomegranate and focus on the arils. Transfer arils to a mesh strainer and rinse with cool water. Place onto a paper towel to dry and they’re ready to use in any dish! I am honored to share this incredible POM infused evening on The Healthy Apple, where I preach about fresh farm-to-table clean, natural gluten-free food and lifestyles, which is exactly what this dinner party emulated to my guests. This evening was about my effort with eating clean and adding an integral health component with POM infused dishes and beverages. 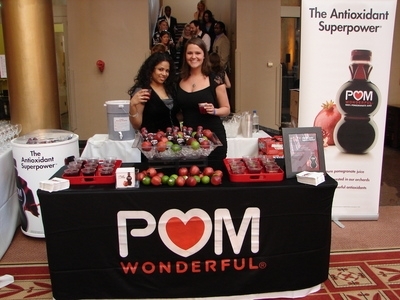 I am incredibly passionate for the POM Wonderful brand as it truly is a brand that I believe in and love so much. All of the POM products are healthy, clean and delicious, which is what The Healthy Apple encompasses and which is my message to my family, friends, colleagues, readers and the online community. 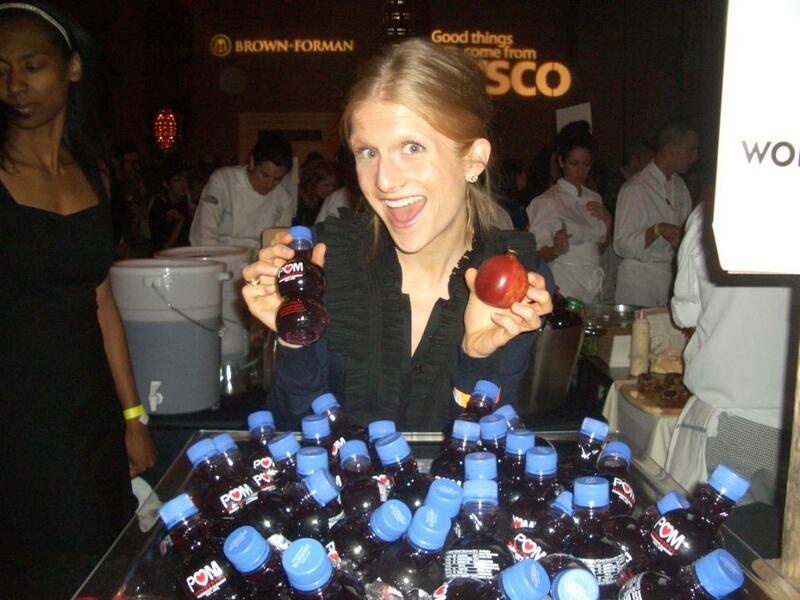 My energy and passion portrayed POM in a beautiful light and created a unique look on the classic POM beverage…with a Gluten-Free twist, I created a fun, intimate spin on a classic dinner party in Manhattan! I’m sure you’re all yearnin’ for these delicious POM Gluten-Free recipes mentioned above…so, here is a sneak peak at the POM appetizers that were served. In a saucepan, bring POM Wonderful to a boil over medium heat. Add pomegranates and agave nectar; cook for 20 minutes. Stir often. Add ginger, cook for another 20 minutes. Remove from heat; set aside to cool; mixture will thicken when cooled. In a large bowl, combine all ingredients; mix until combined. 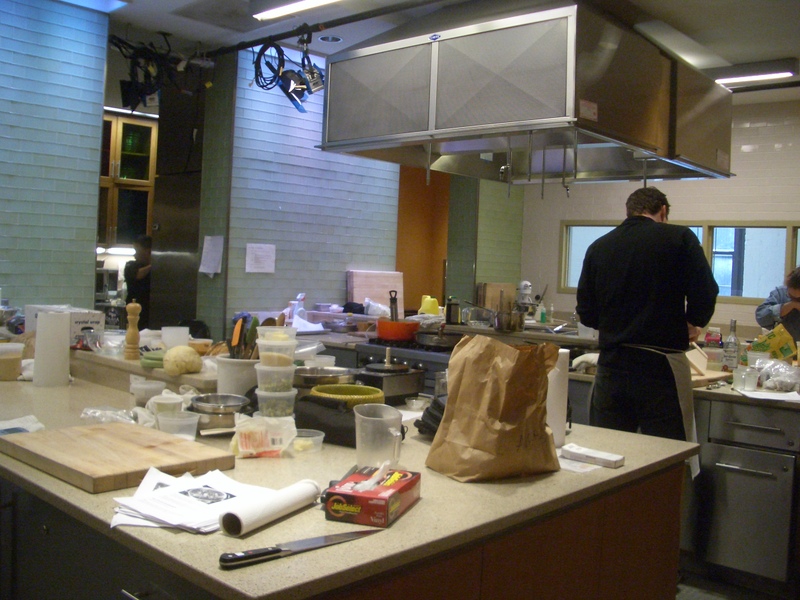 Prepare a large nonstick baking sheet with parchment paper. Place dough in the center of the sheet. Roll dough with a rolling pin until it is 1/2 inch thick and is covering the baking sheet. Using a sharp knife, slice the dough into 3 inch rectangles. 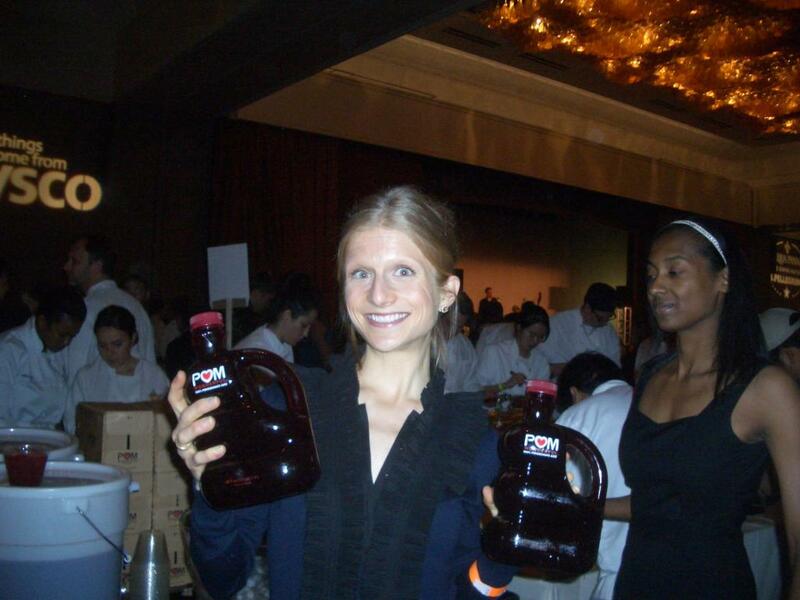 Thanks to POM Wonderful, I attended last nights Share our Strength‘s Taste of the Nation event here in Manhattan. The evening was a tasting from 50 of the best NYC restaurants serving everything from swanky cocktails and pork belly to red velvet Belgium waffles and a vast array of wines. Our VIP Tickets were unbelievable; I arrived at 7 PM sharp and started the maze through beautifully decorated tables filled with flowers, decorations and of course, delicious samplings of food and spirits. My date was my beautiful, Aunt Valerie whom I had a fabulous time with. ..we nibbled and sipped our way through the evening and received beautiful gift bags filled with fun foodie trinkets and treats. I stumbled across some of my favorite Manhattan dining hot spots such as Eleven Madison Park, Rouge Tomate andGramercy Tavern. 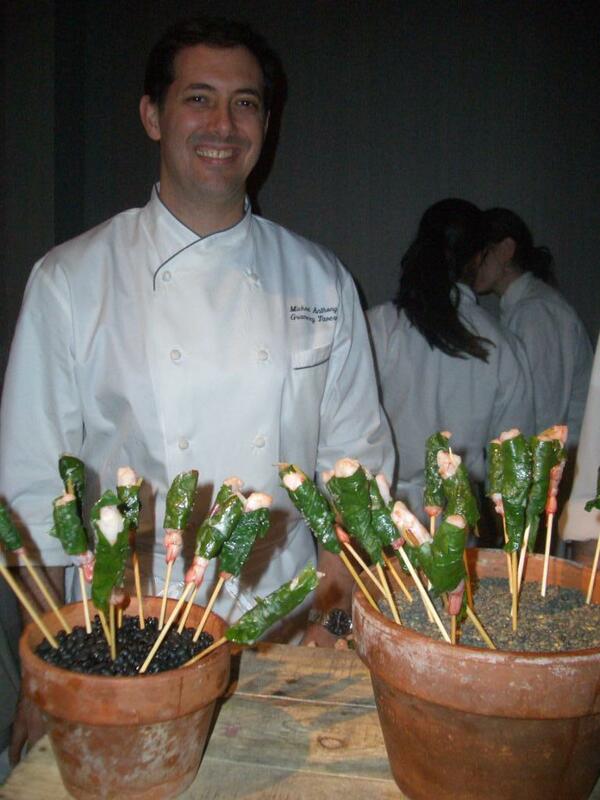 How adorable are these cute little shrimp skewers wrapped in spinach? 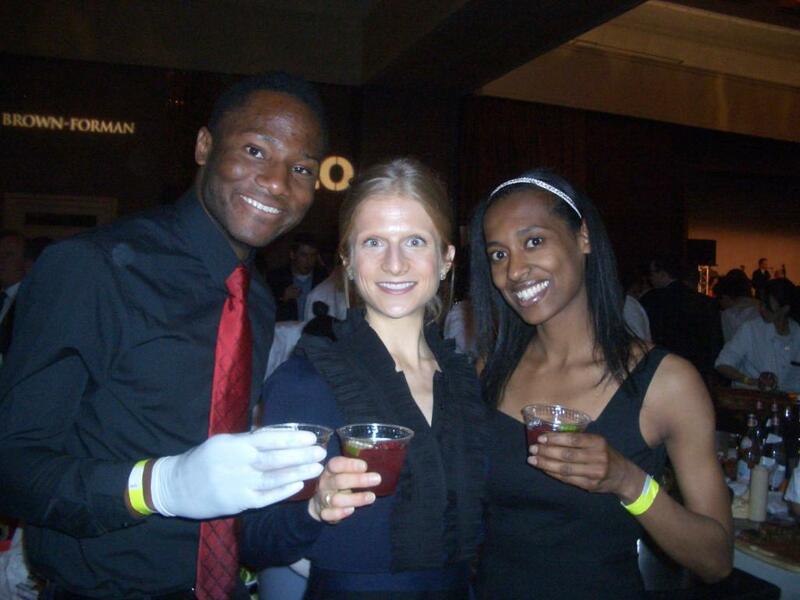 Thank you, again to POM Wonderful for these amazing VIP Taste of the Nation tickets…I had a wonderful evening. 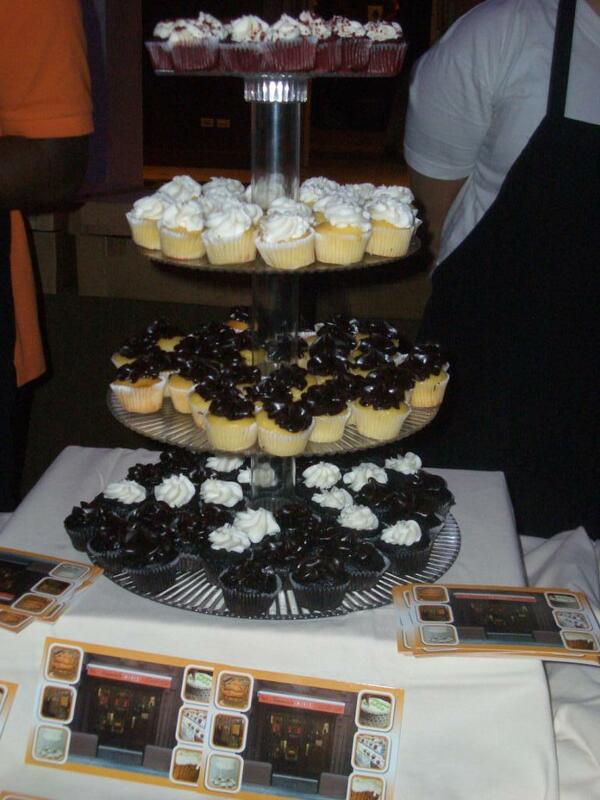 Are you attending the Taste of the Nation in your city? 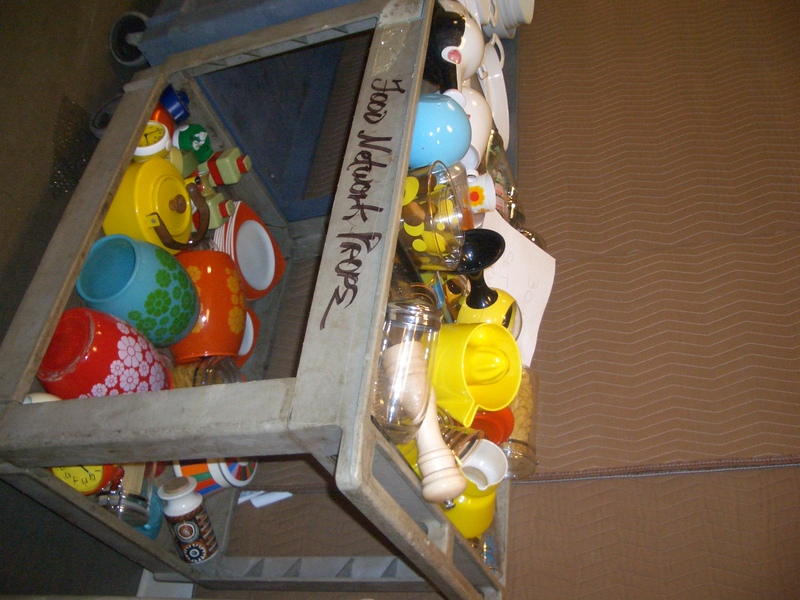 My Food Network Personal Tour! 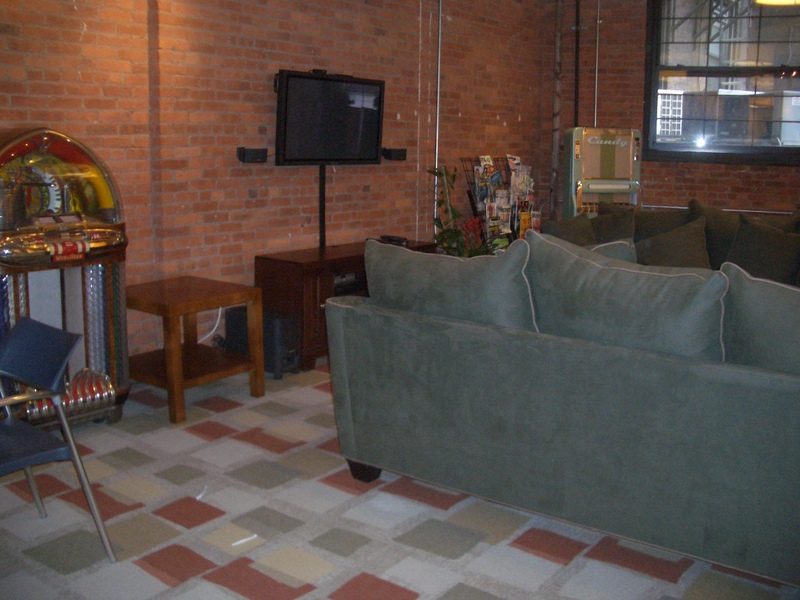 The above picture is the ‘Lounge’ area, which is filled with plush couches, exposed brick and a television for the Food Network staff to enjoy and relax in between working, hehe! 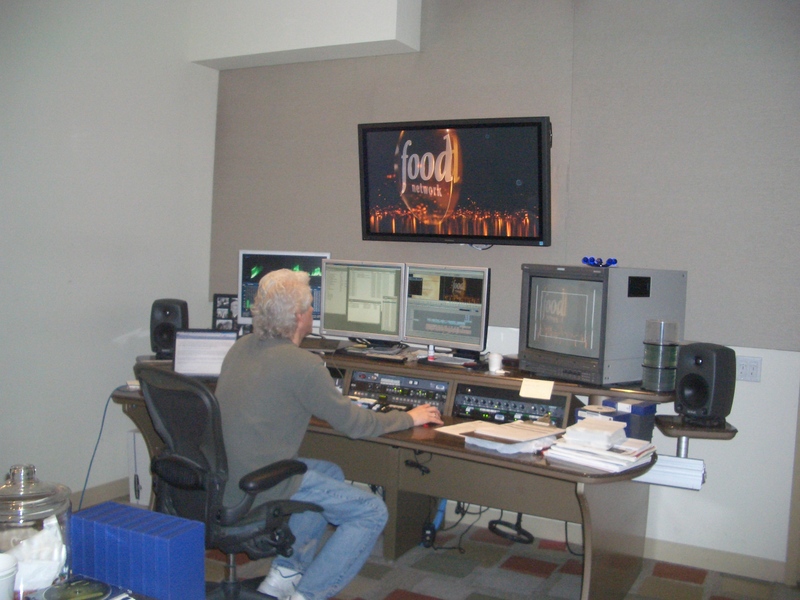 This room was unreal; I was able to watch editing of a few Food Network commercials and was able to watch the ‘voice-overs’ and recording studios! 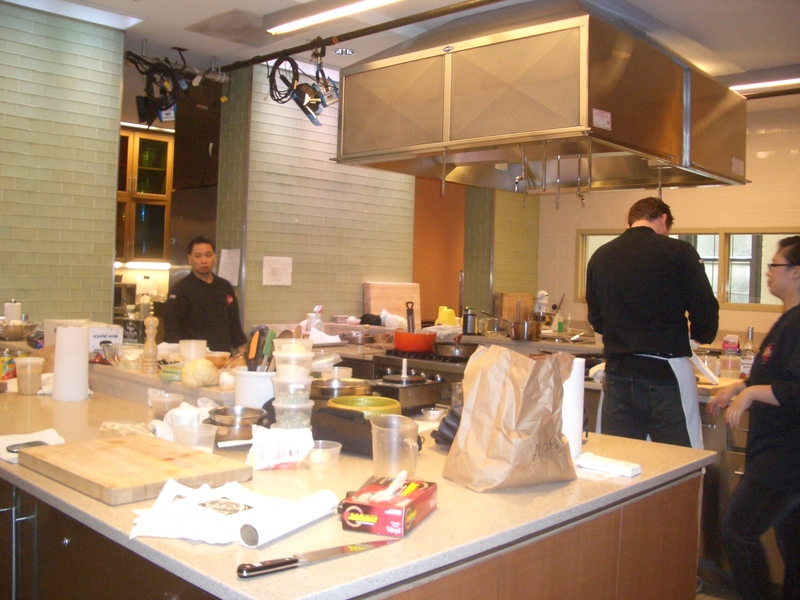 Yes, this was the best part of the entire tour…the KITCHEN….O my goodness, let’s just say I didn’t wanna leave…my tour guide had to drag me out of there…it was amazing…every kind of food, appliance, gadget, utensil, etc. 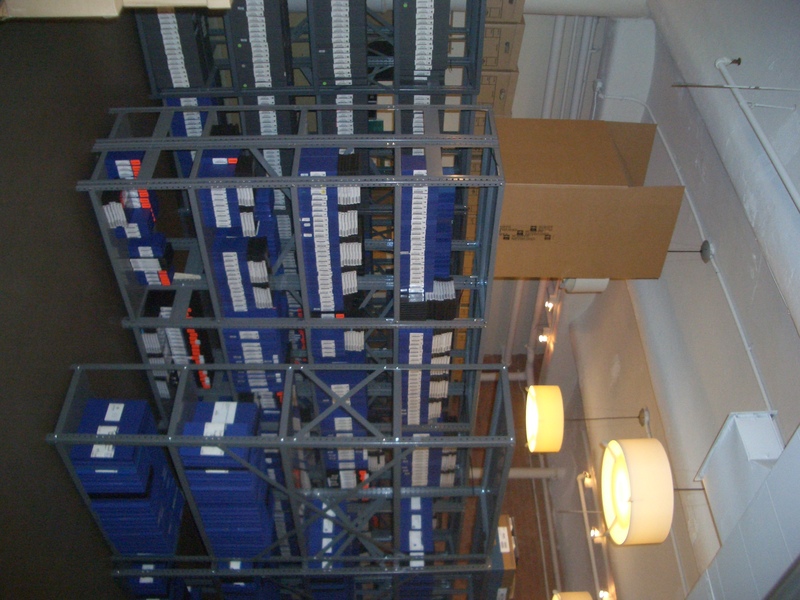 you can imagine…all in one room! 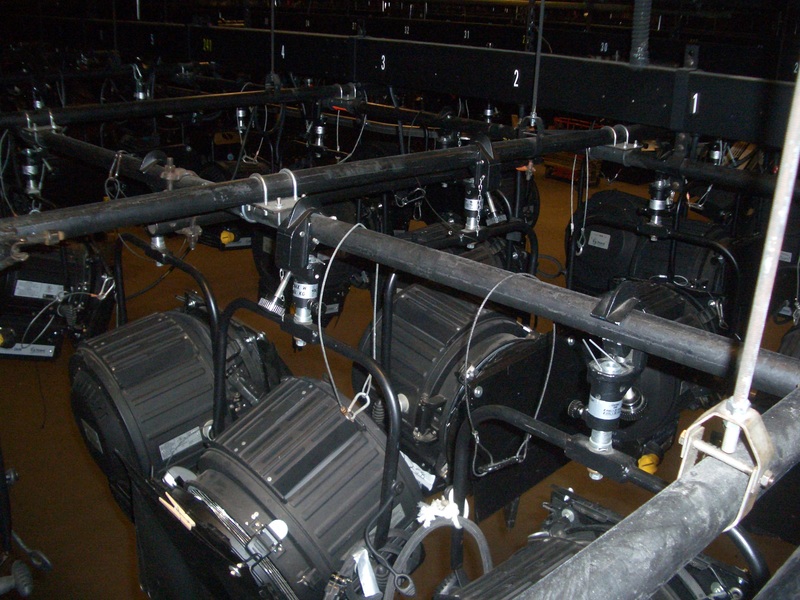 This is a picture from up above that I took walking on the ‘walkway’ in air…you can see all of the camera lights and the huge studio room below as this is where all the sets are displayed and where all of the filming takes place for the shows such as Iron Chef. 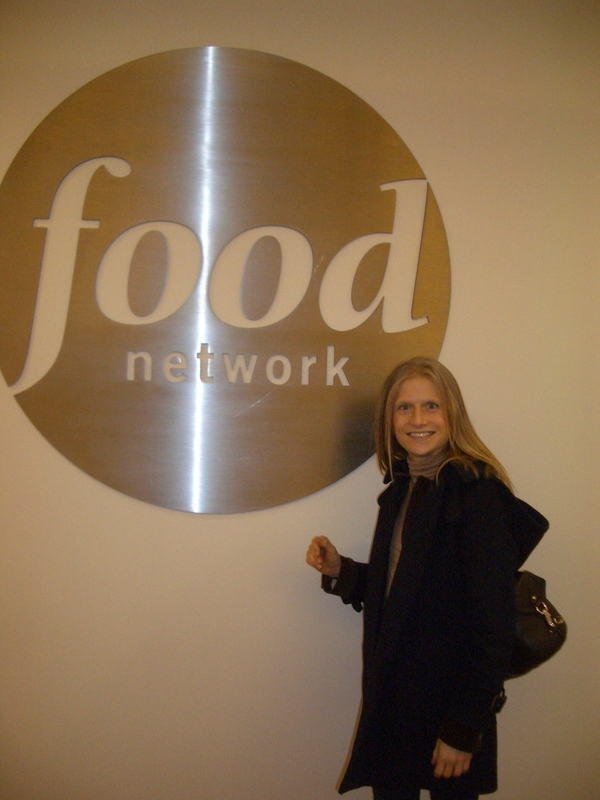 And here I am, at the end of my tour next to the big Food Network sign. Hope you enjoyed my tour as much as I did! Tonight I’m attending the Taste of The Nation Event thanks to POM Wonderful…I’ll be sure to recap with tons of pictures of my delicious eats. 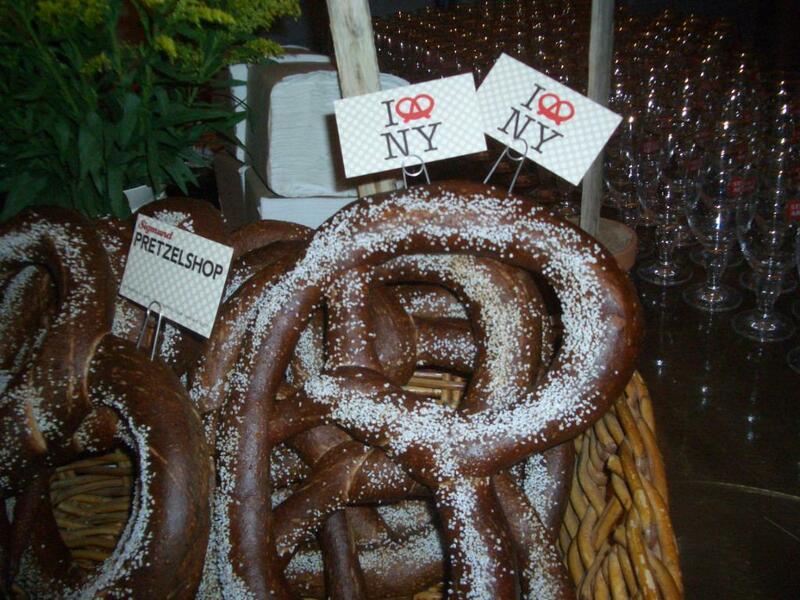 Thanks to POM Wonderful, I will be attending the Share our Strength’s Taste of the Nation event here in Manhattan on Monday, May the 17th and I can hardly wait! Speaking of POM Wonderful, last night I created a POM extravaganza in my kitchen…Ever heard of POM Pine Nut Banana Bread, POM Macadamia Nut Brownies or POM Pineapple Lime Dressing? All three of these tasty POM Wonderful recipes are gluten-free and diary-free…Read on for the deliciousness…I assure you, your taste buds will thank you…and be sure to check my recipes out on the POM Wonderful website, as well! In a large bowl, combine bananas, POM Wonderful, dates and almond extract; mix well. In a separate bowl, combine pine nuts, rice flour, olive oil, baking soda, baking powder, salt, cinnamon and chili powder; mix well until smooth. Transfer batter into a baking pan; bake for approximately 1 hour or until bread is firm. Combine coconut oil, honey, coconut milk, almond extract, POM Wonderful and apple sauce into a large bowl; whisk well to combine. In a separate bowl, combine buckwheat flour, sea salt, cocoa powder and baking powder. Gently fold dry ingredients into wet; stir to combine. Slowly add chocolate chips and macadamia nuts. Transfer batter into a baking pan; bake for 20-25 minutes or until fully cooked inside. In a blender, combine all ingredients; process until smooth. Serve chilled atop salads, pastas, frozen yogurt or lean protein. Be sure to tune in for my Taste of the Nation recap on May the 17th thanks to POM Wonderful! 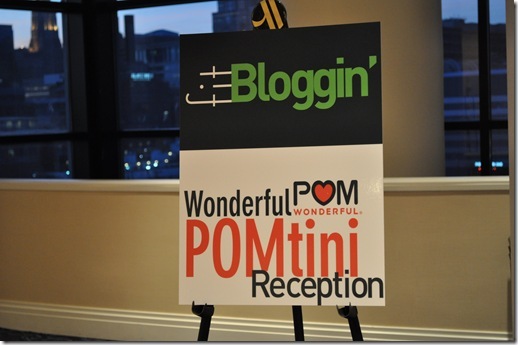 A huge thank you to all the folks over at POM Wonderful who treated me to a fabulous FitBloggin’ sponsor ticket this weekend. 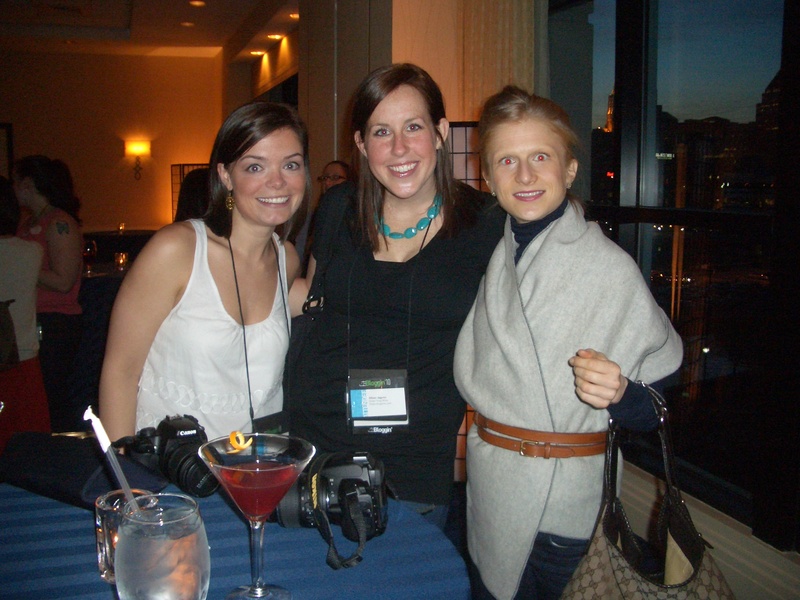 I had an amazing time and had the opportunity to meet bloggies from all over the country. 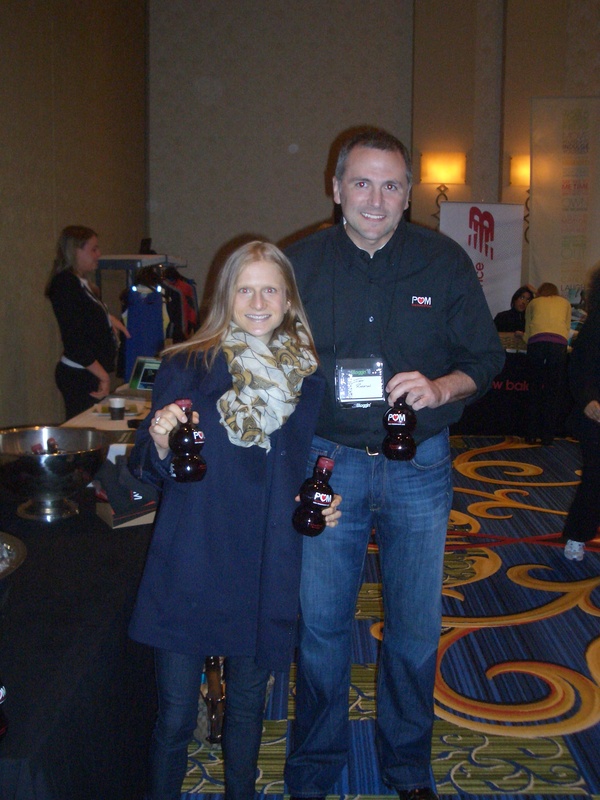 And to top it off, I was lucky enough to meet Jeff, who came to FitBloggin’ all the way from the POM Wonderful headquarters to present and educate all of us on useful bloggin’ tips and information. 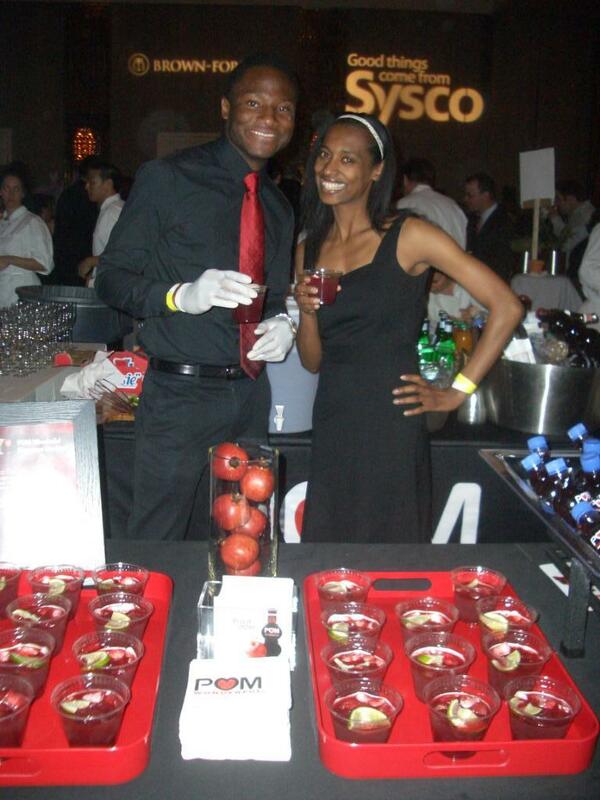 Here’s a picture of myself and Jeff at the POM Wonderful table. The weekend kicked off with a POM Wonderful POMtini Reception and we continued to celebrate with POM throughout the weekend! Here’s some pics from the POMtini Reception of me and my two fabulous bloggie buddies, Quinn and Allison, whom I spent the weekend with at Quinn’s beautiful home in Baltimore. 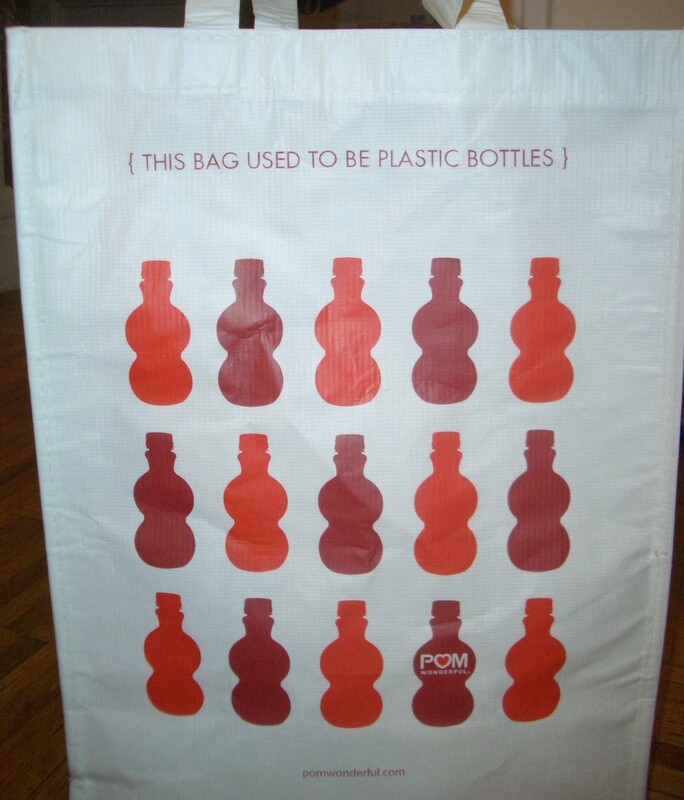 Overall, the weekend was truly POM ‘Wonderful’ and each bloggie was given a POM Wonderful bag, made from recycled plastic bottles, and filled with goodies. This is surely going to be my new food shopping bag…I love it…isn’t it adorable? You will surely see me sportin’ this POM Wonderful bag around Manhattan…hehe…Be sure to look out for me…you won’t be able to miss me with this fabulous bag! With a little experimentation and creativity, you can effortlessly tweak your Thanksgiving menu into a gluten-free holiday spectacular. Make your appetizers simple by offering a variety of cheese, spreads and rice crackers. Quinoa stuffed mushrooms are a great alternative to wheat- stuffed mushrooms and taste just as delicious; your guests will never know the difference. Arrange a platter of nuts, seeds and dried fruits for nibbling throughout the evening; your guests will take pleasure in snacking while savoring wine and socializing. Cranberry sauce is an easy way to create a fresh, seasonal fruit on your dinner table. Furthermore, everyone loves mashed potatoes; make a large batch of mashed sweet potatoes; add fresh apples and freshly squeezed orange juice in place of half the butter. Not a sweet potato fan? Opt for mashed yams and top with a drizzle of honey and a sprinkle of cinnamon. Roasted carrots and parsnips are a great way to incorporate tender, root vegetables onto your turkey table; simply chop into fry-like shapes, drizzle with olive oil and a dash of nutmeg, sea salt and pepper; spread on a baking sheet to roast in the oven until crispy. Roasted cauliflower is a tasty side dish alternative; toss chopped cauliflower florets in a mixture of turmeric, rosemary, balsamic vinegar and olive oil before baking. Green vegetables such as broccoli rabe, Brussels sprouts, green beans and asparagus pair nicely sautéed with olive oil and slivered almonds. If you and your guests are more inclined to dine on soup before your main meal, create a warm butternut squash or apple pumpkin soup with gluten-free croutons and a dollop of Greek yogurt. When selecting a bird, be sure to carefully check the label to ensure the turkey does not contain hormones, pesticides or additives. Compliment your turkey with a unique twist to awe your guests and create a mouthwatering feast. Gluten free stuffing is an easy alternative to bread stuffing using apple cider vinegar, brown rice, quinoa, dried cranberries, ground nuts and herbs. Create a sweet herb rub by adding a touch of honey or agave nectar to fresh herbs, sea salt and pepper, creating a sweet and savory turkey topping. Create gluten-free gravy combining cornstarch or arrowroot with water and chicken stock. Fear not, there are countless ways to prepare healthy, gluten-free desserts to satisfy any sweet tooth on a crisp autumn evening. Create a fresh fruit crumble using your favorite harvest fruits and gluten-free flour along with a touch of cinnamon and nutmeg; top it off with Greek yogurt and fresh mint. Pumpkin pie is a staple at the Thanksgiving table; create the crumbs for this holiday must-have with crumbled gluten-free crackers, cereal or puffed rice. Pumpkin muffins are always a hit; try using tapioca starch and canned pumpkin to create a moist consistency. Zucchini quinoa cake is another unique dessert; top this tasty treat with unsweetened coconut and powdered sugar. Each of these gluten-free treats can be topped off with fresh cranberries and figs, a sprig of fresh herbs, a dash of cinnamon and a dollop of Greek yogurt. And take a looksy at the POM Wonderful homepage where I’m featured as the POM Wonderful Blogger with my tasty Thanksgiving POM Recipes.